Pollinators are essential to the United States economy. Honey bees, native bees, birds, bats, butterflies, and other species contribute substantially to our food production systems, the economic vitality of the agricultural sector, and the health of the environment. On June 20, 2014, the President issued a memorandum directing the heads of executive departments and agencies to create a Federal strategy promoting the health of honey bees and other pollinators. The Presidential Memorandum envisioned broad engagement to improve the management of Federal buildings, landscapes, rangelands and forests to increase and improve pollinator habitat nationally. 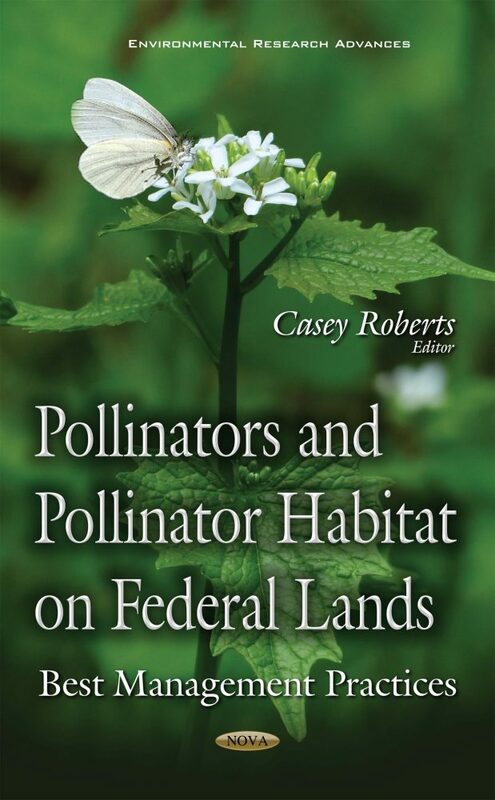 The objective of this book is to consolidate general information about practices and procedures to use when considering pollinator needs in project development and management of Federal lands that are managed for native diversity and multiple uses. This book also provides guidance and recommendations for creating and maintaining quality habitats for pollinators in new construction, building renovations, landscaping improvements, and in facility leasing agreements at Federal facilities and on Federal lands.